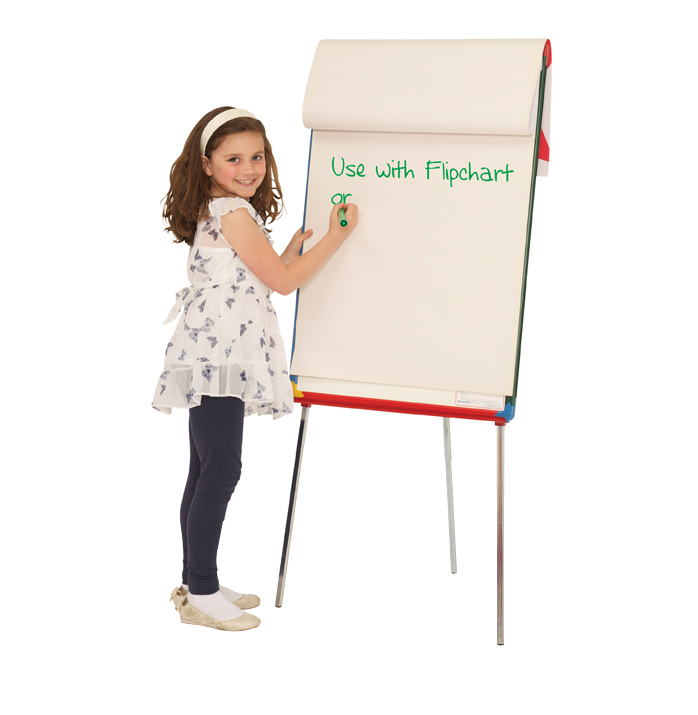 A junior dry wipe whiteboard with adjustable legs so it can be used for various age groups. With a bright harlequin colour frame and rounded safety corners this easel is ideal for use in schools. The whiteboard is 600mm wide and 900mm high. It is available with 3 surfaces - magnetic, non-magnetic and chalk. The non-magnetic surface has a feint 25mm grid. This easel is portrait orientation and can also be used with a flipchart. No need for self assembly as this easel is delivered assembled and ready to use. View our full range of Classroom Easels. Magnetic and non-magnetic surfaces are delivered next day if ordered before 12pm*. Chalk boards are dispatched within 5 working days. *Next day delivery is subject to stock availability.